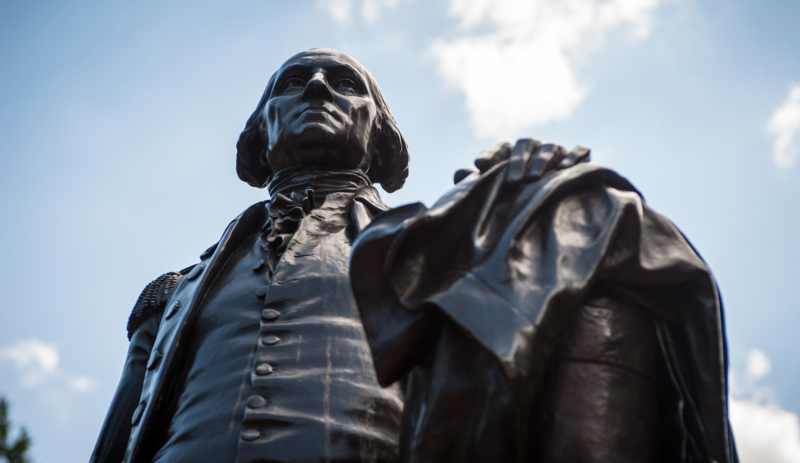 In the early years of the Republic, when the nation's new capital was no more than a small collection of public buildings separated by pastureland, President George Washington advised Congress to establish a national university at the seat of government. His goal was to educate future generations of civil servants and thereby forge a national identity based on "principles friendly to republican government and to the true and genuine liberties of mankind." He left in his will 50 shares of stock in the Potowmack Canal Company for the endowment of a university "to which the youth of fortune and talents from all parts thereof might be sent for the completion of their Education in all the branches of polite literature-in arts and Sciences-in acquiring knowledge in the principles of Politics & good Government." 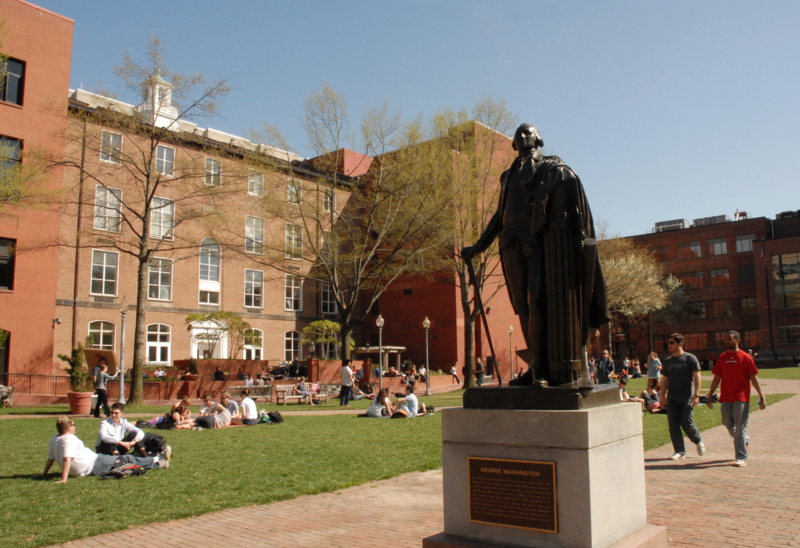 Though it would be decades before George Washington's namesake university would be established by an Act of Congress, the George Washington University Law School-established in 1865-was the first law school in the District of Columbia. Today, the School continues to embody the aspirations of the nation's first president. GW Law students are taught by world-class scholars and seasoned practitioners. With more than 275 elective courses, our students can undertake a broad but in-depth exploration of the law. We invest in each student's success through strong academic and personal support, which includes mentorship, networking, and one-on-one career counseling that emphasizes helping students find the area of the law best suited to their interests. Our location in the heart of Washington, D.C., places our students at the center of the most dynamic legal and policy activity in the United States. 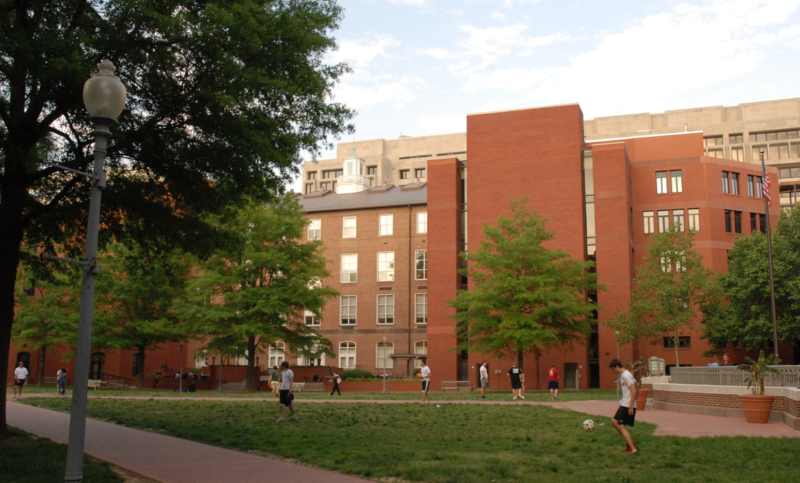 The White House, the World Bank and International Monetary Fund, the U.S. State Department, Big Law on K Street, and the U.S. Court of Appeals for the Federal Circuit are within an easy walking distance of campus. A short ride on the Metro, which has a convenient station on campus, allows students to hear arguments at the Supreme Court in the morning and return for classes that afternoon. The graduate programs at GW Law draw strength from their close relationship to the JD program. 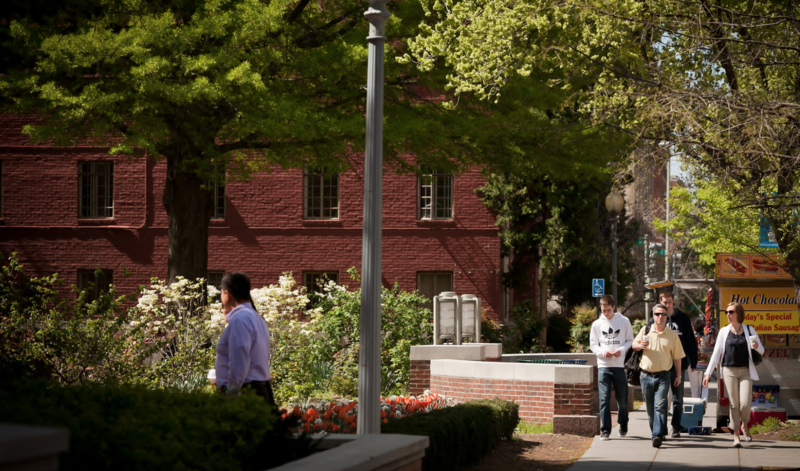 With the exception of the program in Litigation and Dispute Resolution, which is limited to LLM degree candidates, graduate law students take courses with JD students, and the resulting exchange of ideas is beneficial for both groups. Graduate students are able to combine traditionally taught courses with in-depth seminars, internships, skills training, and clinical experience for a comprehensive approach to legal education. Full-time faculty members in each specialized field provide instruction, academic advising, and thesis supervision. All of GW’s graduate programs benefit from the law school's location in Washington, DC, which provides access to unparalleled academic opportunities as well as the many distinguished expert practitioners, government officials, and judges who teach on an adjunct basis.